The 5100 Series offers traditional Bilstein technology with applications for lifted trucks, Jeeps and prerunners. 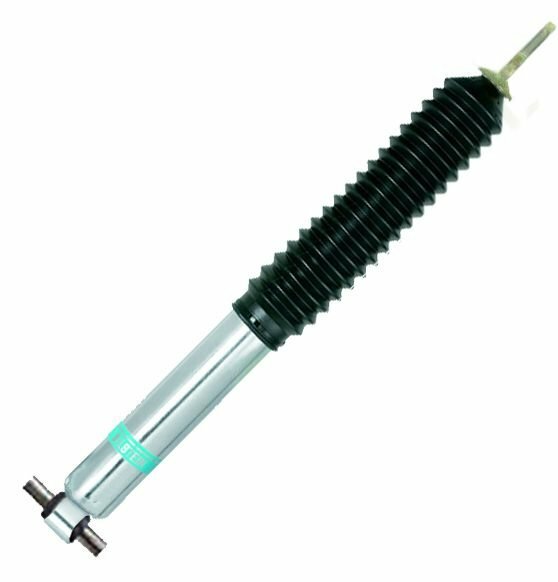 The 5100 Series shock absorbers are designed for specific manufactured lift kits utilizing the stock O.E.M. mounting configuration. 5100 Series shocks feature Bilstein's superior single tube high gas pressure design for the upmost in consistent fade-free performance and long life. Bilstein's patented Digressive self-adjusting valving delivers improved damping control and a smooth ride on all road surfaces at any speed. Bilstein quality. Comes with all new mounting metal washers, rubbers and top nut. Does not include bottom two mounting nuts and bolts.